This takes a little longer to make but is so worth the wait. Especially if you're in need of some indulgent nourishment. The sweetness of the roasted red onion compliments the goats cheese like a dream. After 20 minutes, Take the veg out and the quinoa off the boil. Add the spinach to the quinoa and let it wilt. 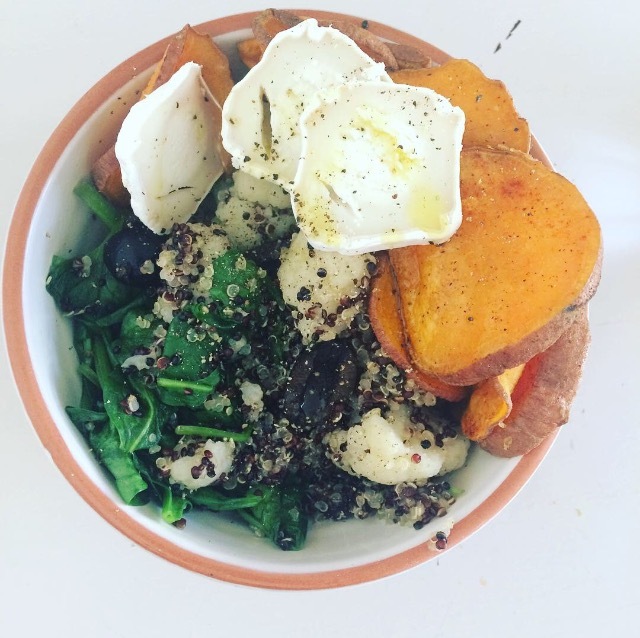 in a bowl, add the quinoa, top with the potatoes and onion and finish off with some goats cheese. Add olive oil & black pepper to taste.